Further artists have been added to the bill that sees The Cure, Roger Waters and Eric Clapton headline. 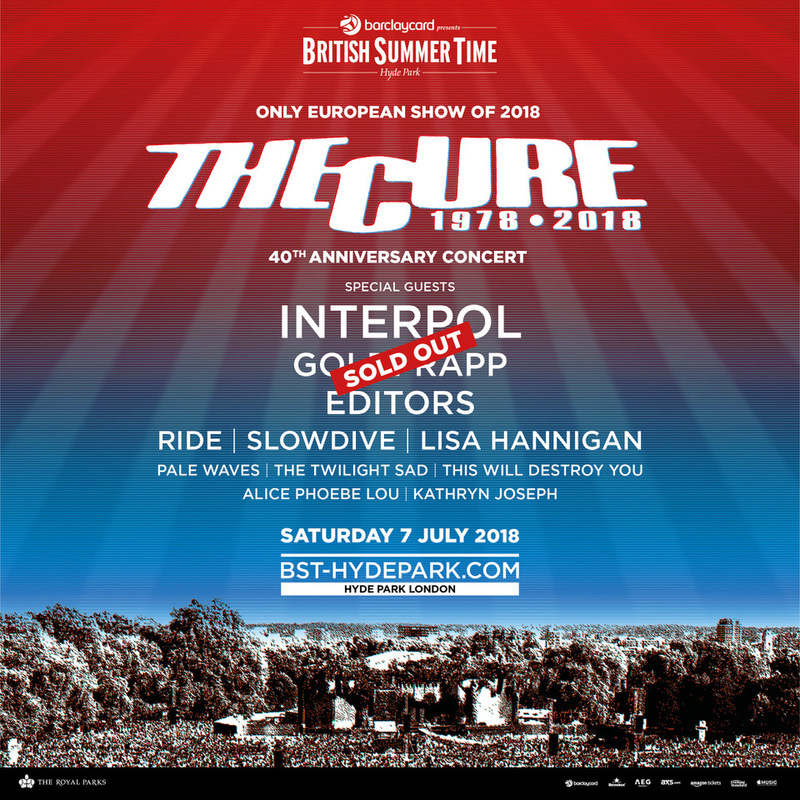 The bill to the first full weekend of Barclaycard presents British Summer Time Hyde Park has been completed, with more acts joining The Cure at their 40th anniversary show. Robert Smith and co play Hyde Park on Saturday 7 July, marking 40 years in the business with an impressive line-up that includes Interpol, Goldfrapp and Editors. Joining them on the day will be Mancunian goth-poppers Pale Waves, Irish indie-folk artist Lisa Hannigan, experimental rock trio This Will Destroy You, South African singer-songwriter Alice Phoebe Lou and Scottish singer-songwriter Kathryn Joseph. Also announced today are new support artists for other shows that weekend. Joining Roger Waters on Friday 6 July are X Ambassadors, Slydigs, Colin Macleod, CC Smugglers and Lil & Ollie. Added to the bill of the Eric Clapton show on Sunday 8 July are Zucchero, Chas & Dave, Lukas Nelson & Promise Of The Real, The Wandering Hearts, Ryan Kinder, The Americans, Eric Paslay and Kelly McGrath. Tickets for the first weekend have now sold out, but tickets for the second weekend - Michael Buble (13 July), Bruno Mars (14 July) and Paul Simon (15 July) are on sale now. See www.bst-hydepark.com for details.